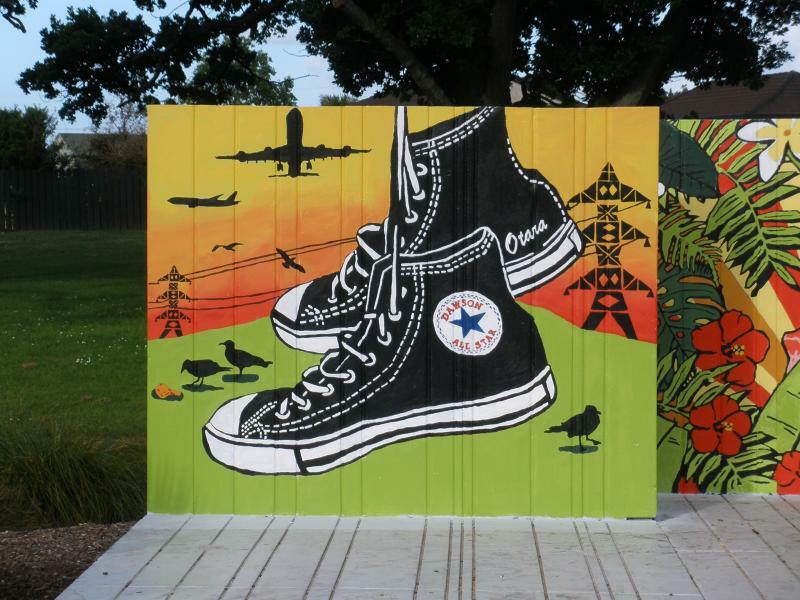 WALL 1: Acknowledging the location of Dawson Park, in the flight path of Auckland International Aiport and the classic limited edition ‘Otara’ Chuck Taylor Converse All Stars made in 2005. 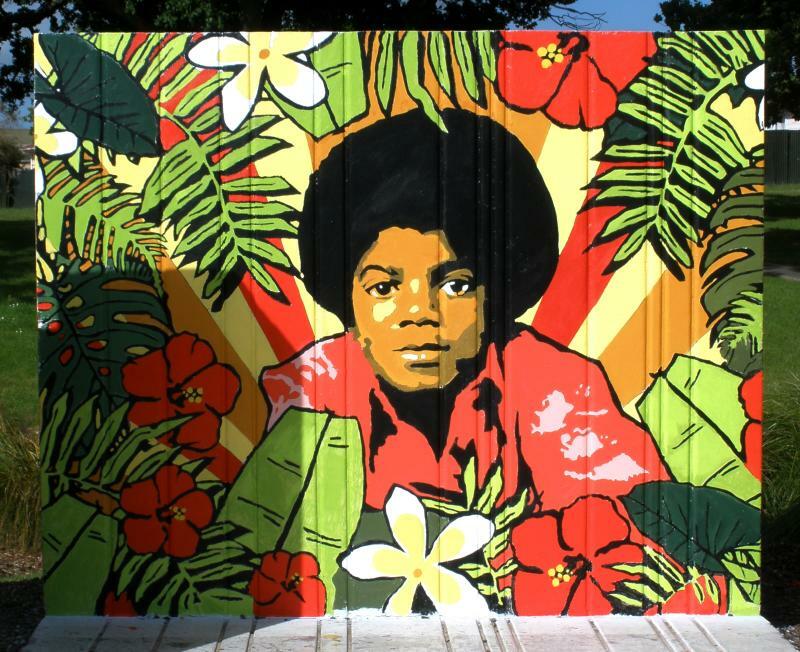 WALL 2: Acknowledging the 2009 passing of Michael Jackson, the undisputed King of Pop, a model of creative and musical excellence with intergenerational, global and multicultural appeal, embedded in an arrangement of Pacific island flora. 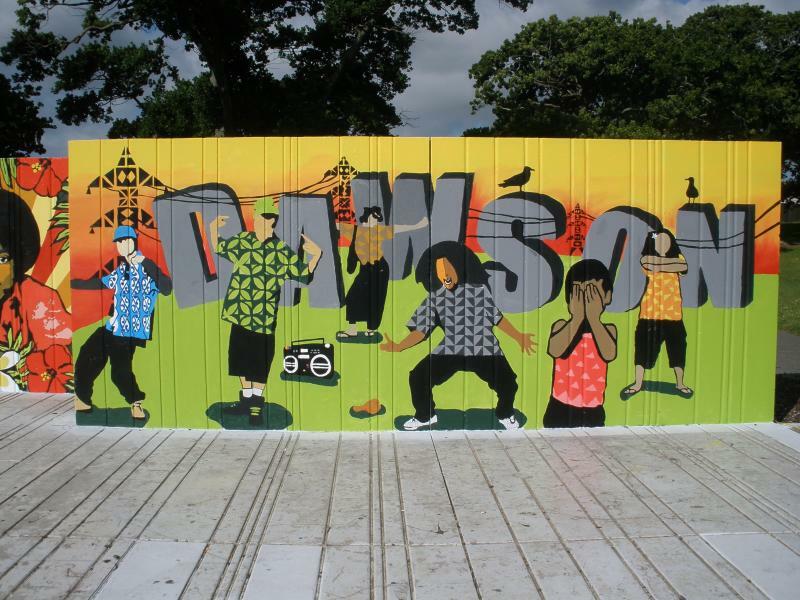 WALL 3: Acknowledges the locality of the site on Dawson Road and the youthful local community. 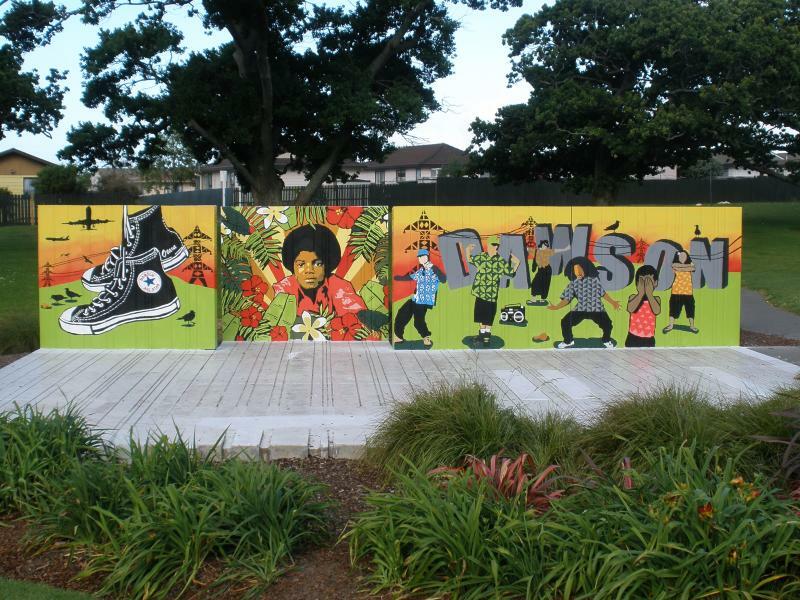 The figures are derived from a photographic project that took place at the ASB Polyfest called South Style documenting the style and conviction of south Auckland young people.